Florencio Varela side’s thrilling bid for the title is now the centre of attention. Something special is happening in Florencio Varela. Located on the southernmost tip of Greater Buenos Aires, bordering La Plata, the city rarely makes the news. 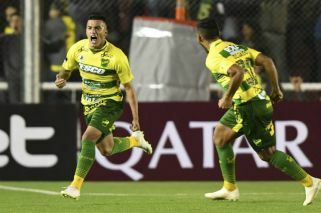 But thanks to Defensa y Justicia and their thrilling bid for the Superliga title, it is now the centre of attention in this final stretch of the league season. Defensa y Justicia share a curious record in Argentine football. Founded in 1935 and affiliated to the Argentine Football Association (AFA) since 1978, when they began life as a professional institution in the bottom-tier Primera D, the club has risen through the pyramid while suffering just a single relegation; in addition, only Boca Juniors share the honour of never having dropped down a division since reaching the top flight. But that said, it was a long slog for the Halcón: after no less than 24 years in the Primera B Nacional (another record), and 17 consecutive seasons in the second division from 1997 onwards, they finally reached the promised land in 2014 with Diego Cocca on the bench. Cocca subsequently left to take the reins at Racing, ironically beating the Varela side 3-1 in their Primera début on his way to a title with La Academia in his first campaign in the top flight. But his successors – Darío Franco, Ariel Holan and Sebastián Beccacece – set a trend for dynamic, attacking football at the club, all achieved while working on a shoestring budget and shopping in the bargain basement of Argentine football. Beccacece returned to Defensa y Justicia at the start of the current season, jumping ship from Argentina following the World Cup debacle he experienced as part of Jorge Sampaoli’s coaching team. And against all odds the coach has put together a team that is seemingly determined to challenge current league-leaders Racing all the way for this year’s Superliga honours. In the opening weeks of 2019 the Halcón have already upset two ‘Grandes’, inflicting back-to-back defeats on River Plate and San Lorenzo to keep up the pressure on Eduardo Coudet’s side. It is a stunning achievement. Beccacese has spent a fraction of the money invested among the big five, forming a side based primarily on young cast-offs from more established teams – Domingo Blanco and Gastón Togni arrived from Independiente, Nicolás Tripichio from Vélez Sarsfield, Alexander Barboza from River and impressive goalkeeper Ezequiel Unsaín from Newell’s Old Boys – and more experienced journeymen like Ciro Rius and Fernando Márquez. As of Friday, they were Argentina’s only unbeaten side, sitting just three points behind Racing with nine games remaining in the season. The Defensa y Justicia faithful certainly are enjoying themselves. Their exploits over the past few seasons have also not been confined merely to the domestic game. 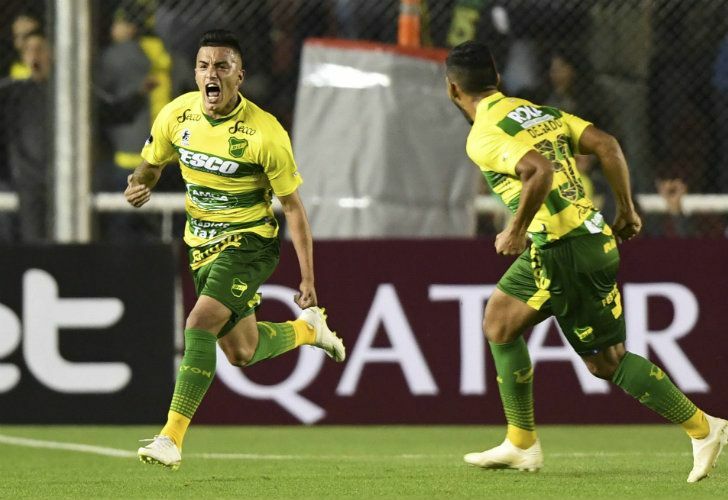 In 2017 the Halcón struck a huge upset by beating Brazilian giants São Paulo in the first round of the Copa Sudamericana, while last year they downed the likes of América de Cali and Banfield before going out in the quarter-finals to Colombia’s Junior on away goals. 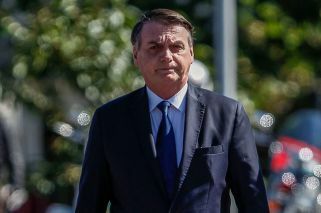 Whether in Argentina or across South America, no team now relishes a battle with Beccacece’s charges. It will not be easy for the team. In the last six years only Lanús have managed to break the big five’s monopoly on the league title, prevailing in a truncated transition tournament that included two group of 15 teams and a final play-off against San Lorenzo. Boca have held a monopoly on the title since the switch to a single, long tournament, while San Lorenzo, Racing and River have all lifted the title in that same lapse. The financial advantages enjoyed by the biggest teams are undeniable, making even previous habitual challengers like Vélez and Estudiantes massive outsiders to take major trophies. Beccacece and Defensa, however, continue to defy the naysayers who affirm their brilliant run is due to end – and with just nine games to go they must be considered serious contenders.